Illumience is the industry's most advanced off-grid management technology, providing real-time, 24x7, remote control, monitoring and management of devices using Smart Off-Grid. With Illumience, streetlights, telecom systems, security systems, mobile power and other off-grid systems can achieve unprecedented levels of reliability and performance while slashing installation and maintenance costs. 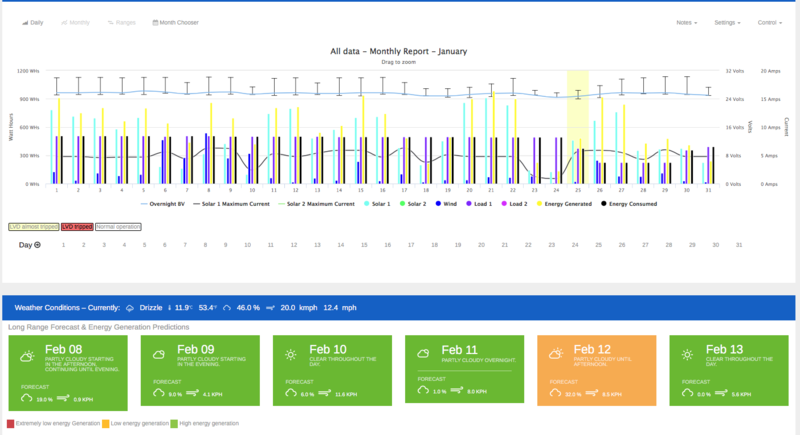 Clear Blue uses Illumience to provide the ongoing management service to ensure reliable power is delivered to your systems, while system owners also have access to monitor and manage their systems. Illumience turns an off-grid system into a proactively maintained system, saving cost, and enhancing security because issues can be resolved before they become a problem - and expensive service calls can be avoided. 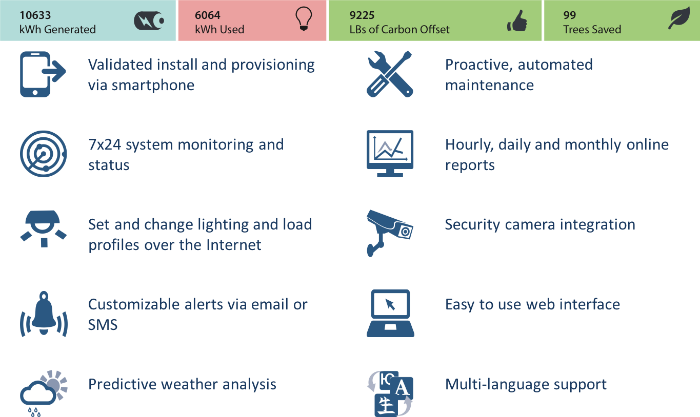 lllumience is a Web-based solution, which gives you 7x24 hour insight into your device's operating status and power generation effectiveness. It enables incredible flexibility and power to monitor, manage, control and proactively service your system. Illumience is built upon a highly secure cloud computing model that has been designed to with high-availability and built-in redundancy. Illumience supports many different reports. Full detailed reports are provided but users can instantly customize a report to show only the data they wish to see.